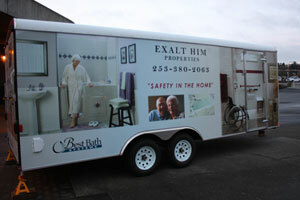 The bathroom is the most dangerous room in the home for seniors. 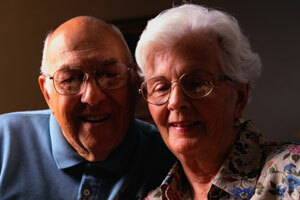 More seniors suffer bathroom related injuries than any other room in their home. 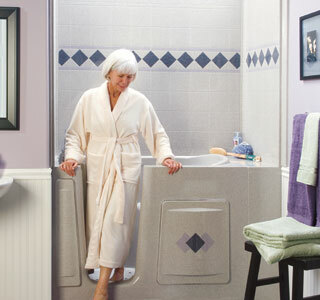 Barrier-free showers allow you to enter your shower safely and quickly. 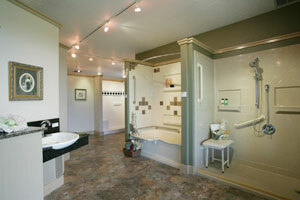 We design and build barrier-free showers. 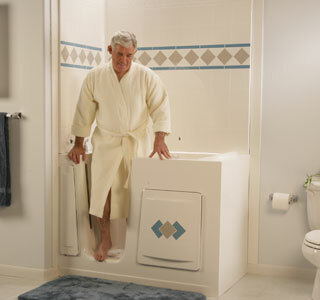 Our barrier-free showers are perfect for wheelchair use and fall prevention. Your barrier-free shower has flooring designed to prevent slipping and falls. Barrier-free showers remove the fear of falling while in your shower. 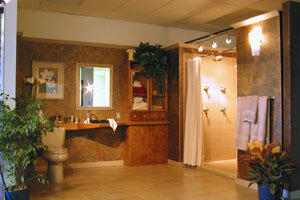 You’ll be able to shower with dignity and privacy. 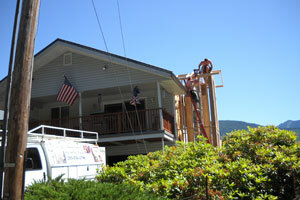 We’ll also install safety bars and grab bars at your request. 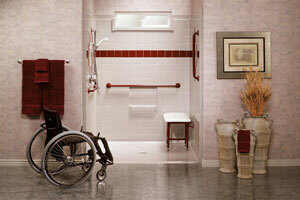 Safety bars and grab bars give you control in your barrier-free shower. 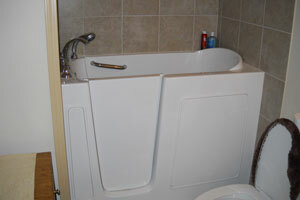 Safety bars and grab bars help you to stand or sit. 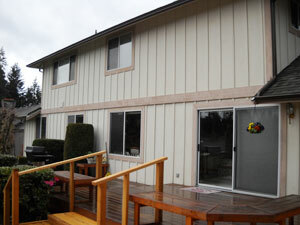 You can hold onto a safety bar or grab for extra security. 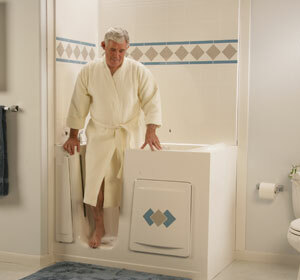 Our barrier-free showers are great for anyone with an unsteady gait, dizzy spells or a history of falls. And for folks who need more room to shower. 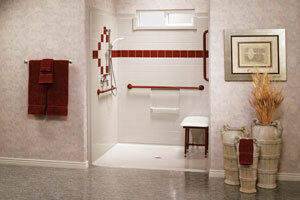 Having a barrier-free shower doesn’t mean you have to compromise on style. Choose from a variety of colors, styles and designs. 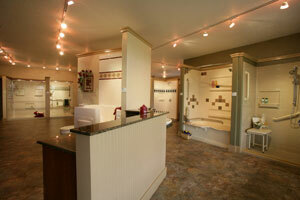 Your barrier-free shower is perfect for a bathroom remodel. 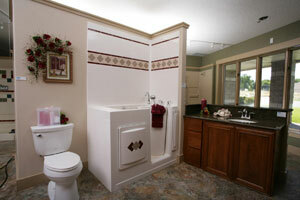 We install them to match bathroom floors, walls and more. 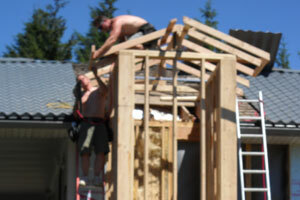 We’ll install multiple soap towers putting needed items in easy reach. 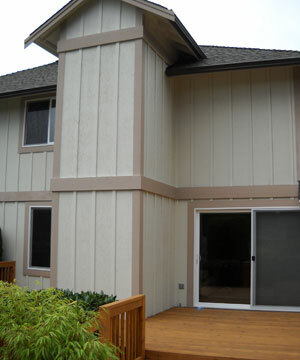 The window trim kit insures matching colors and contrast. The snap joint assembly gives your barrier-free shower a clean and tight look. 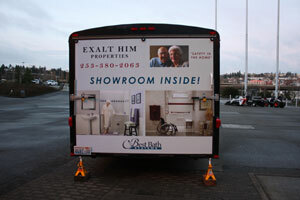 Choose Exalt Him Properties, Inc. for your barrier-free shower. 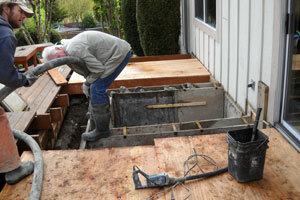 Contact your Disability & Accessible Remodeling Experts at 253-248-4143.